The catalogue acquaints the history of the legendary company Mehaanilise Puutööstuse Aktsiaselts A. M. Luther, presenting its technologically innovative plywood furniture, which became a role model for following generations of Estonian designers and also found a place in the history of modern English design. Jüri Kermik (b. 1957) is a spatial designer and graduate of the Estonian Academy of Arts, who has lived and worked in the UK since 1992. 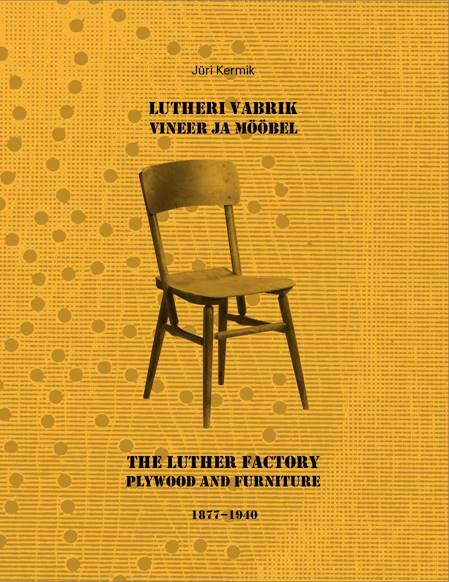 Having studied the Luther family archives in the UK, Jüri Kermik defended in 1998 a doctoral degree on the history of plywood technology and design, and then published the book A. M. Luther. 1877–1940. Materjalist võrsunud vormiuuendus (Tallinn, 2002) on the Luther company’s history. The work was awarded the Estonian state prize for culture. The idea for the exhibition arose from the book, and is brought together in this Estonian- and English-language catalogue.